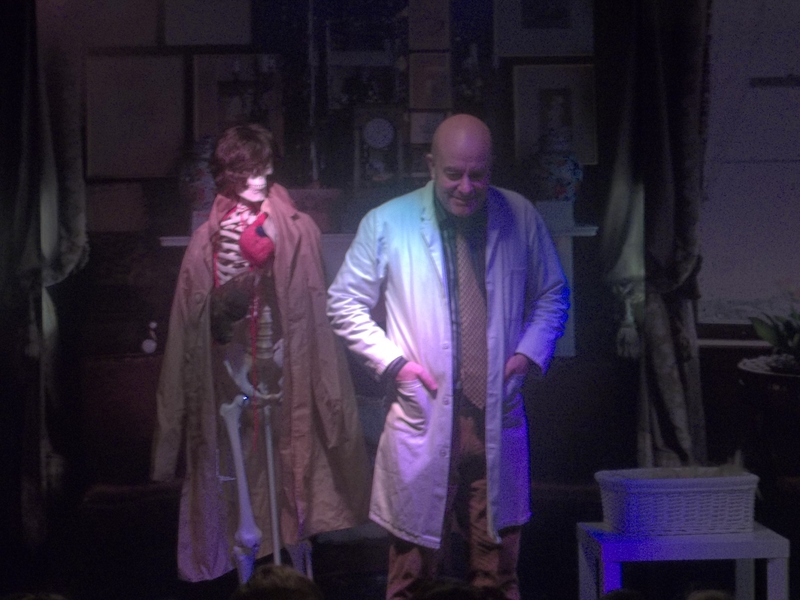 October Half Term: Hijinks and Horrors! 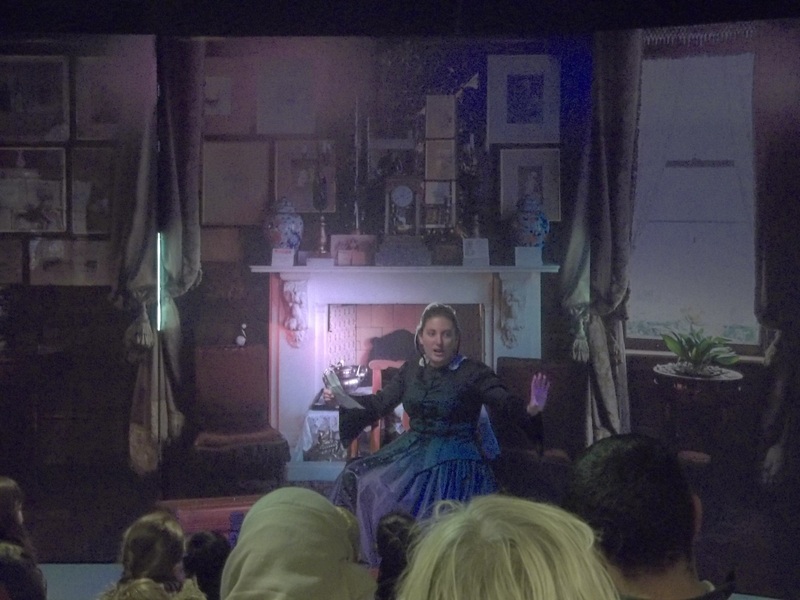 At Florence Nightingale Museum, we had a fantastic half term week, with different activities each day. All week, families successfully completed our activity trail, exploring the life of Florence Nightingale and our special half term “Rat Quiz”, exploring the gruesome world of Victorian medicine and disease. On Monday, we were entertained by Jones the Bones and his skeleton. Armed with some horrible and fascinating facts, he told us all about the human body and why you should never open a hair dressers in the North Pole! On Tuesday, we experienced “First Aid on the Battlefield”. Families took on the duties of a Scutari Nurse and tried out different bandaging techniques. We learnt the importance of hand washing and bandaged a range of ‘broken arms’, ‘head injuries’ and ‘fractured limbs’, with the help of volunteer, Kate. Wednesday, gave visitors the opportunity to find their perfect career with the “Victorian Childhood Career Quiz”. If you like getting dirty and don’t mind small spaces, then Chimney Sweeper could be the career for you! Other career options included mudlark, domestic servant and street seller. In the Victorian era, poor families could earn money from making match boxes. We imagined what it was like to live in a candle lit world without electricity and decorated match boxes, sitting together, much like the families did. On Thursday, we had a visit from Miss Nightingale herself and learnt her fascinating story, from privileged upbringing to nursing reformer. We travelled with Miss Nightingale to Scutari Hospital, taking in the sights, smells and sounds. On Friday, we were joined by the talented Sarah, who led our “Victorian Pharmacy” activity, helped by volunteer, Kiersten. We made packaging for Victorian remedies, including powdered Egyptian mummy “to give strength and vitality”. 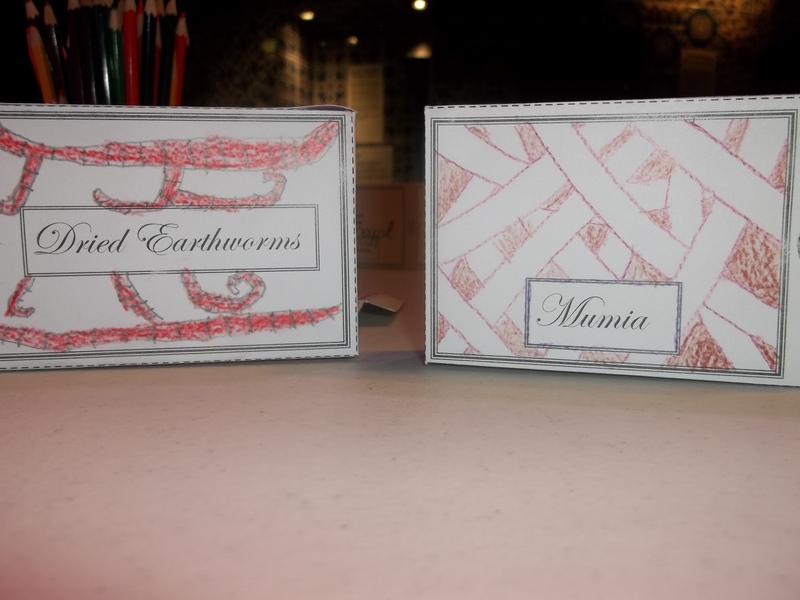 Dried earthworms are apparently, “the best cure for your aches and pains”. Visitors and staff had a wonderful time exploring the horrors of the Victorian era!